Complete your birthday venue decorations with this Milestone Birthday Package! 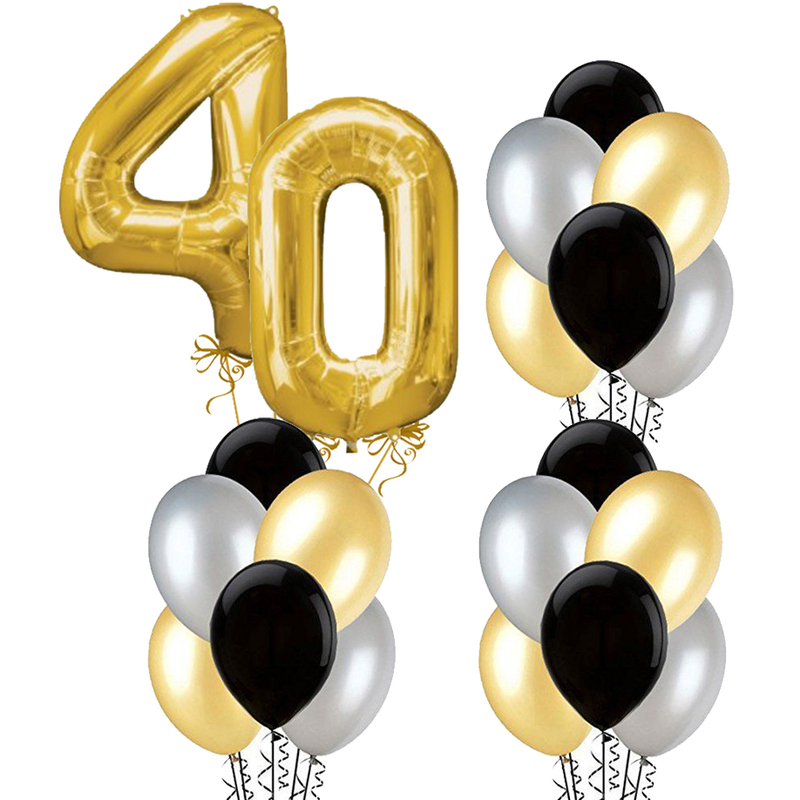 Includes 2 x 42" Number Megaloons and 18 x 11" Helium Filled Latex Balloons (6 Gold, 6 Silver and 6 Black)! Kindly let us know your choice in "YOUR SELECTION" section below for the numbers required and either in Gold or Silver. You may also change the colour combination for the latex balloons, simply let us know your preferred colours in "MY SELECTION" section below. Colours available: Pearl Pink, Pearl Magenta, Pearl Ruby Red, Pearl Lavender, Pearl Purple, Pearl Light Blue, Pearl Tropical Teal, Pearl Saphire Blue, Pearl Lime Green, Pearl Emerald Green, Pearl Yellow, Pearl Orange, Pearl Gold, Diamond Clear, Pearl White, Pearl Silver, Pearl Black.